Hello Darlings, finally I finished my postcard from beautiful Buenos Aires after much deliberation. 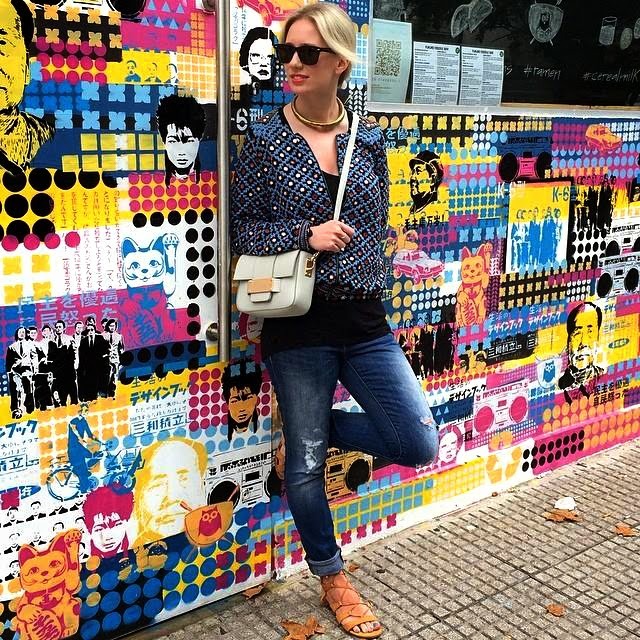 She embodies both the feminine and masculine sensuality of tango and wears the vibrant La Boca neighborhood on her shirt. This is a mixed media illustration with colored paper, acrylic paint, and ink. She exemplifies not only my growth as an illustrator but also just how greatly I was marked by my trip to Argentina. 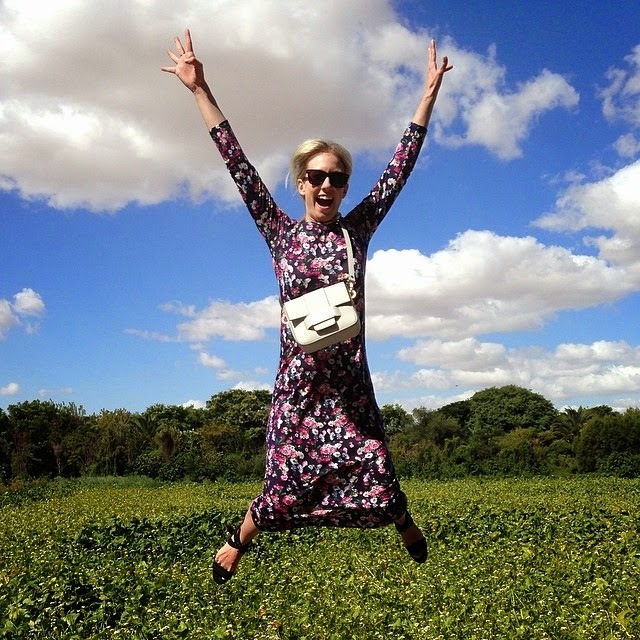 The memories stay with me daily as does the cultural joie de vivre. 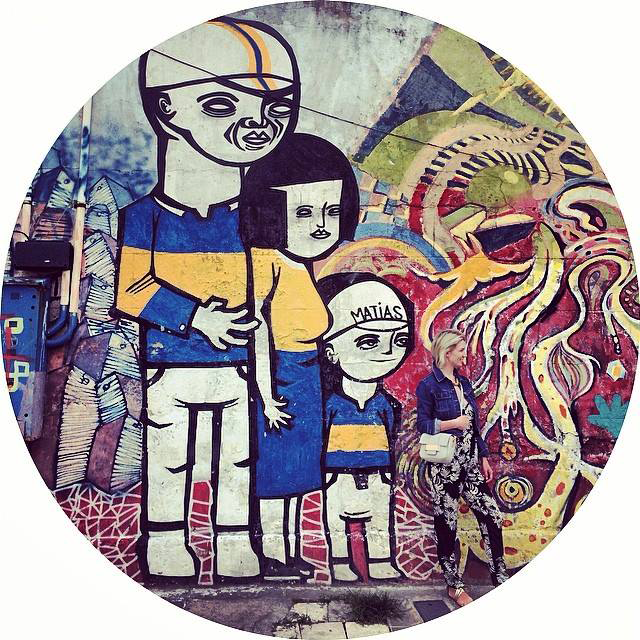 Greg and I arrived at our apartment in Palermo Hollywood, BA on Wednesday March 19th, 2014 and immediately fell in love with the charm of the city. 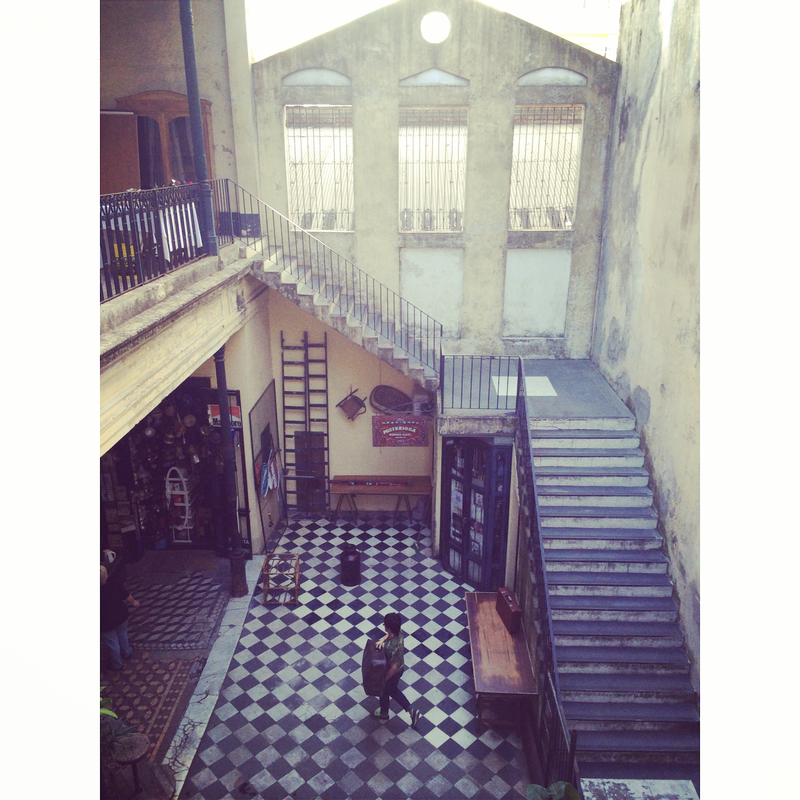 We wander(lusted) through the shops of Palermo Soho en route to the tranquil Jardin Japones. 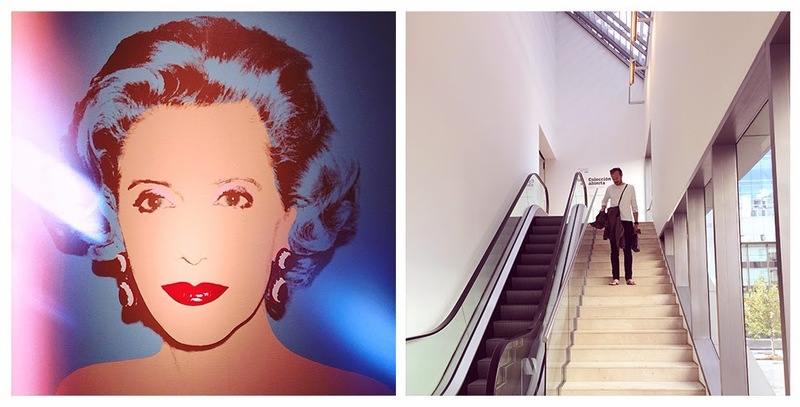 With luck in our back pockets, we found our way to the steps of Malba (Museum of Latina American Art of Buenos Aires) just in time for Mario Testino's exhibition In Your Face. Painted faces glistened from the dimly lit gallery walls. 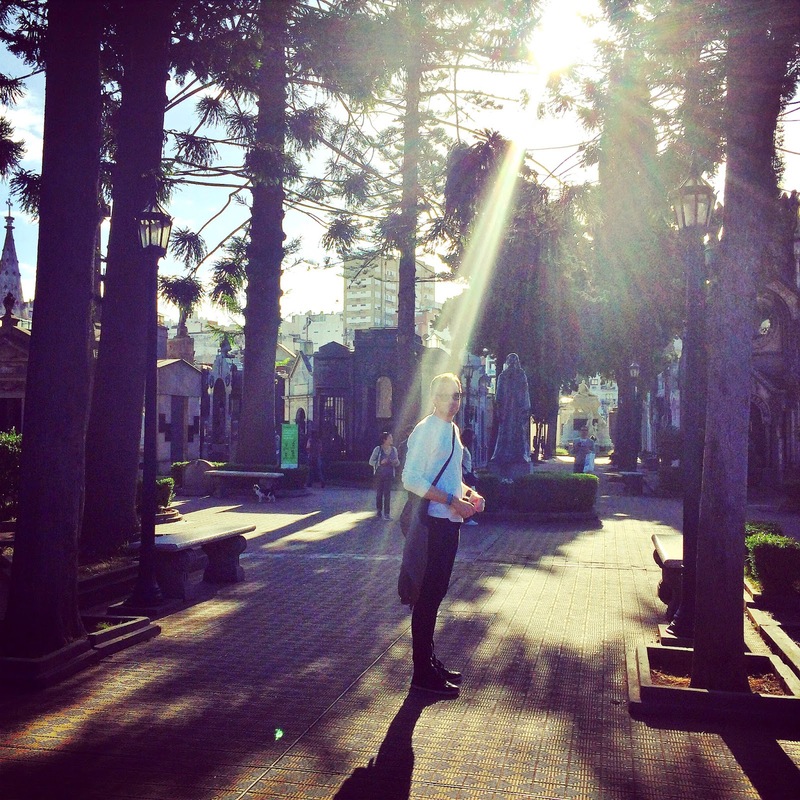 Later we were greeted by angels at La Recoleta Cemetry. 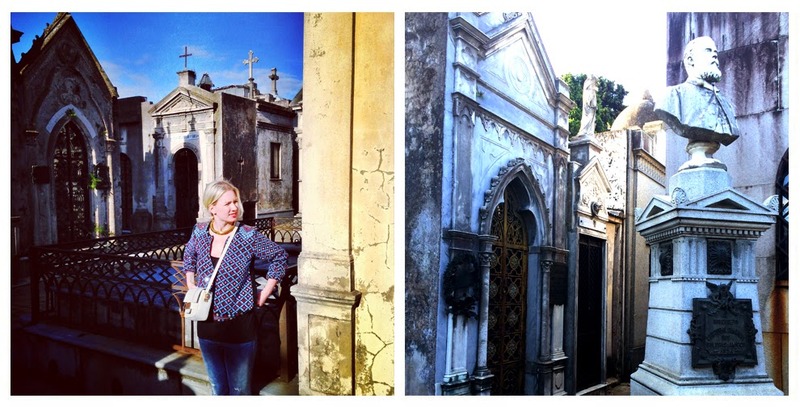 One can't help but get lost in the labyrinth of Recoleta. 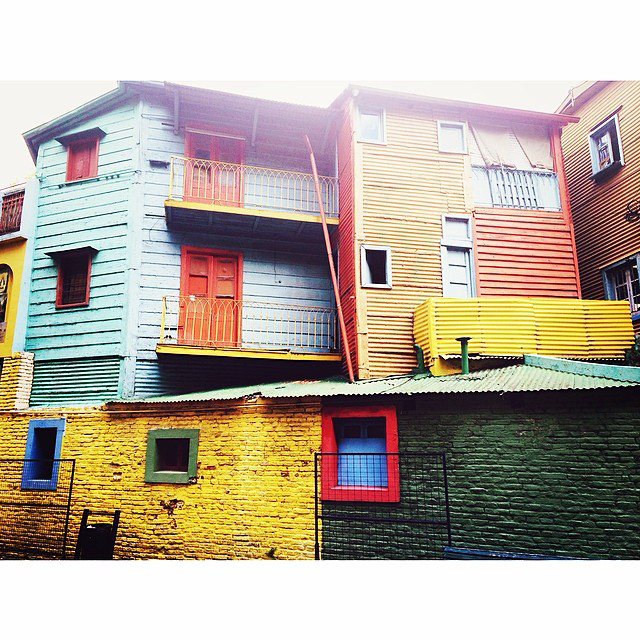 The next day we set our sights on the painted houses of La Boca and its bohemian inhabitants. while I dressed to join the graffiti covered walls! 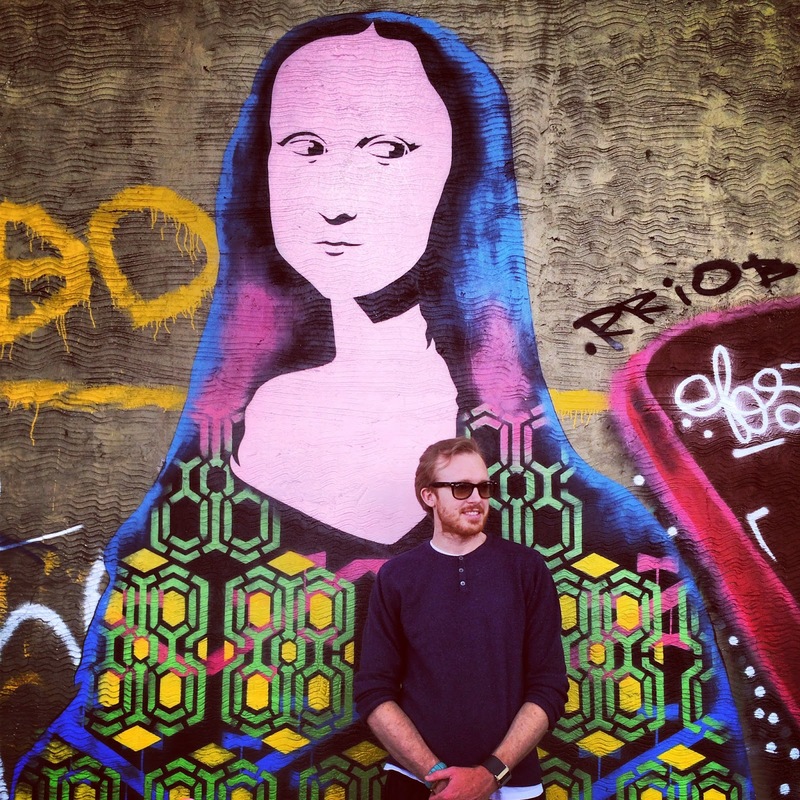 Greg and Mona Lisa looked North to San Telmo. When we arrived we were met with the warmest and most forgiving sunset. 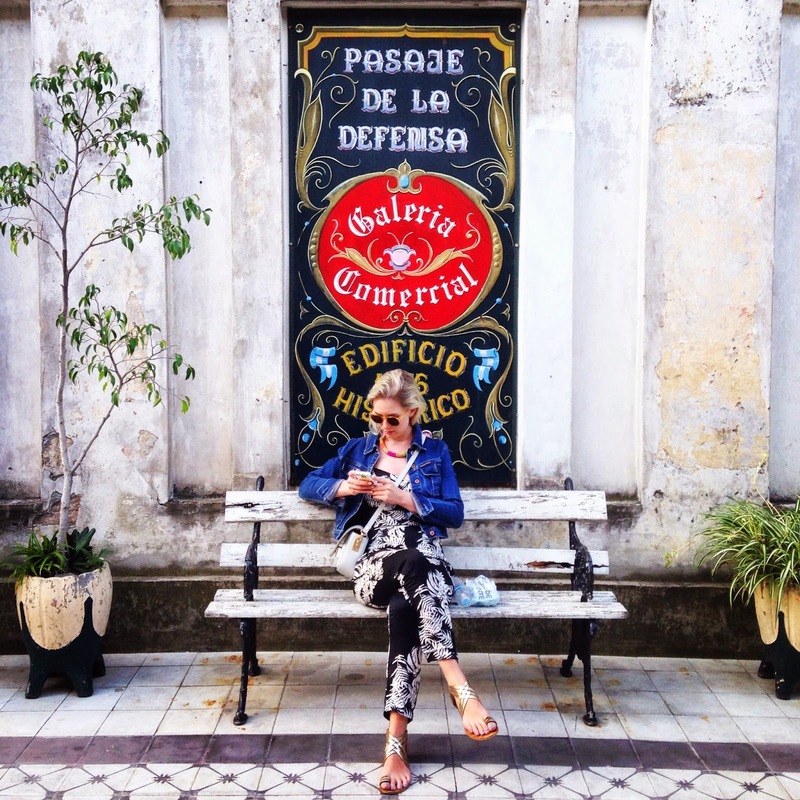 Exploring San Telmo was like discovering treasures from a past world. Every street corner looked like the grandest theatrical backdrop. I collected all my inspiration every step of the way! 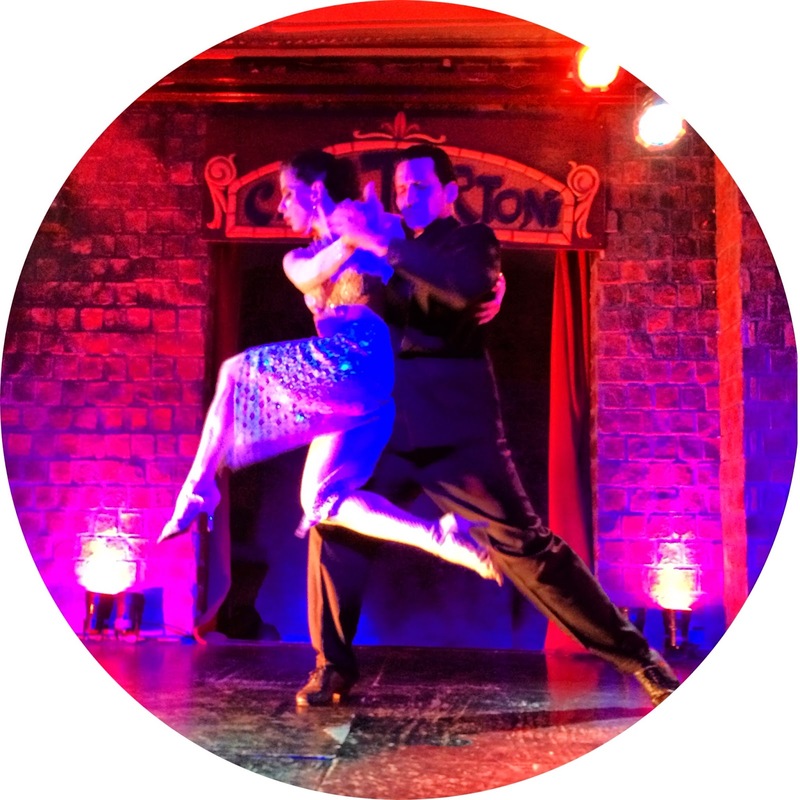 We finished our night soaking up the heat of tango at Cafe Tortoni. When we woke we headed to the Ecological Reserve to ride bikes along the beautiful boardwalk. 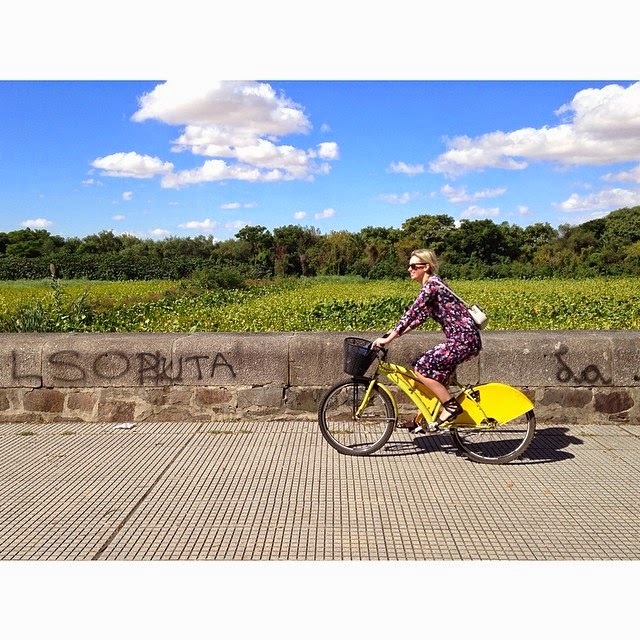 I felt so free riding my yellow bicyclette! We stumbled upon the Fortabat Art Collection at Puerto Madero after a lunch of Argentinian wine and cheese. 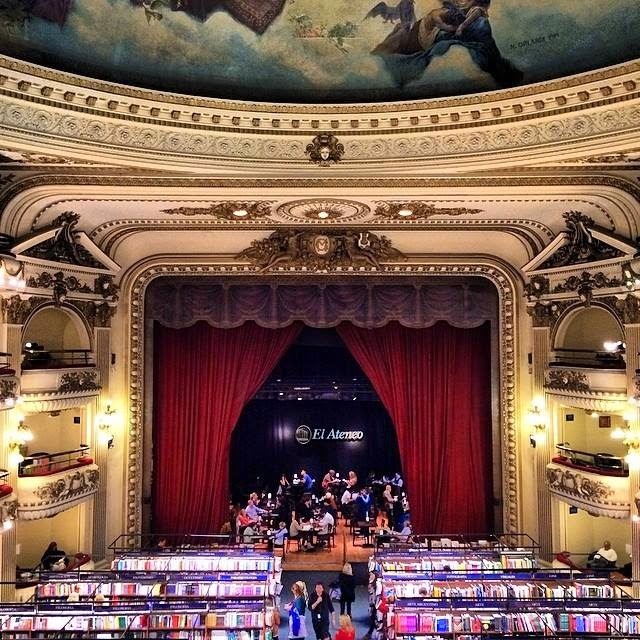 Later we scoured the bookshelves of El Ateneo the largest bookstore in South America! On our last day we strolled hand in hand through the streets of Palermo, absorbing all that we could to return to New York. I stood in the sunshine reminding myself to never forget what I felt in Buenos Aires. Your so ambitions. I love how you can just travel the world and live life to the fullest. I really enjoy reading your blog. Looks like a fab place! This is such a vibrant and colourful place which has so much to offer from quirky neighbourhoods to fabulous museums and bike rides in beautiful surroundings too. 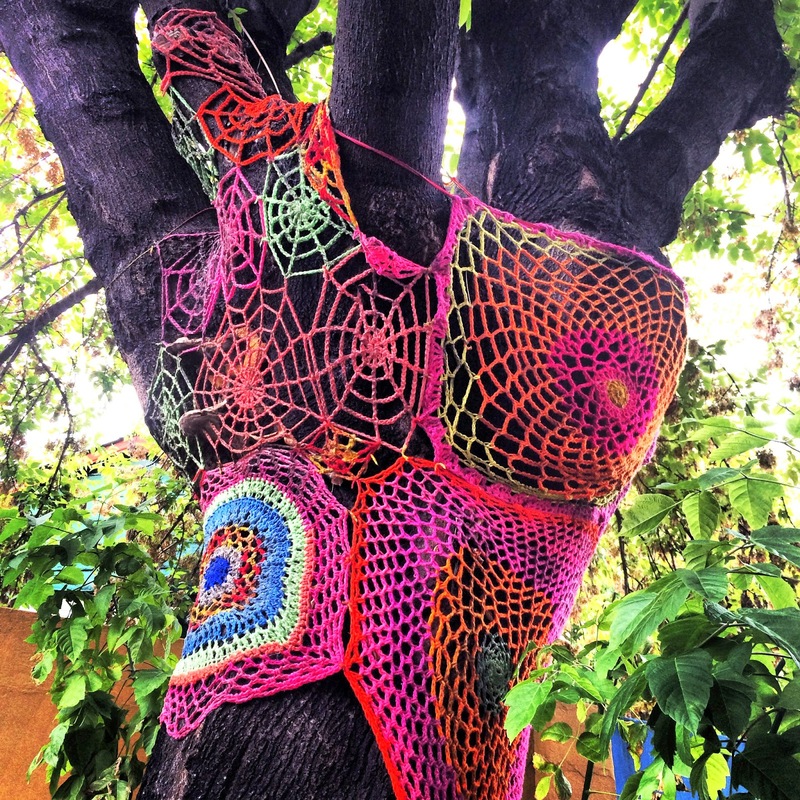 Even the trees look amazing in their 'outfits! This was such an informative post, presented so well and your illustration is just fabulous - a lasting reminder of your amazing trip. Thank you for the memories through these beautiful photos and illustrations. 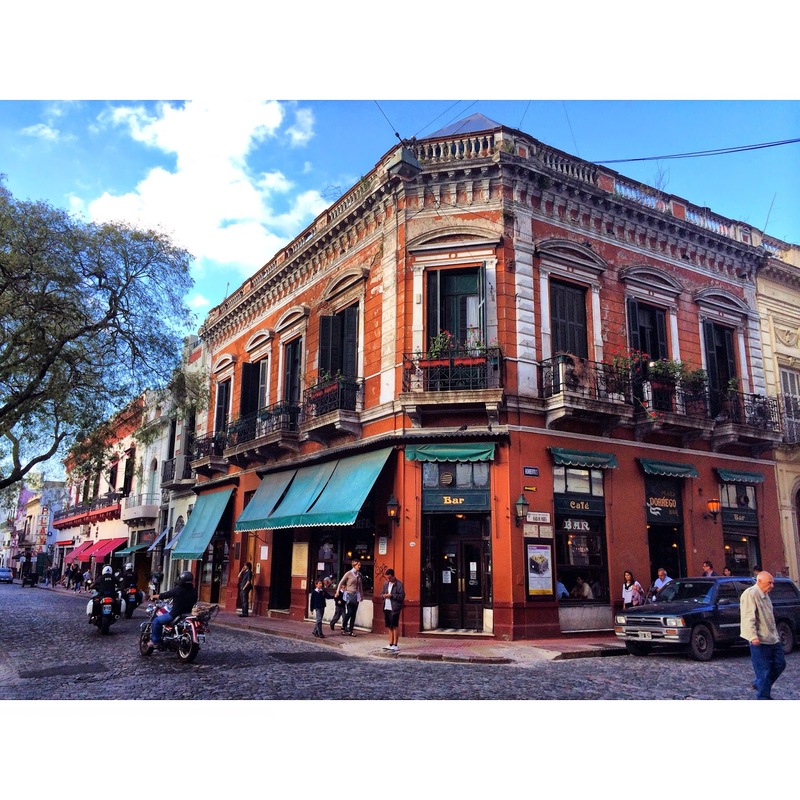 If I could live in any of the places I have visited, I would choose Buenos Aires. I miss everything about it. The first sketch is stunning! You are so beautiful! Love this post, pictures is adorable! and you look so happy! Lovely pics! Fab look! These are a little on the edgier side for me, but you pull them off so, so well! Wow! Just WOW! 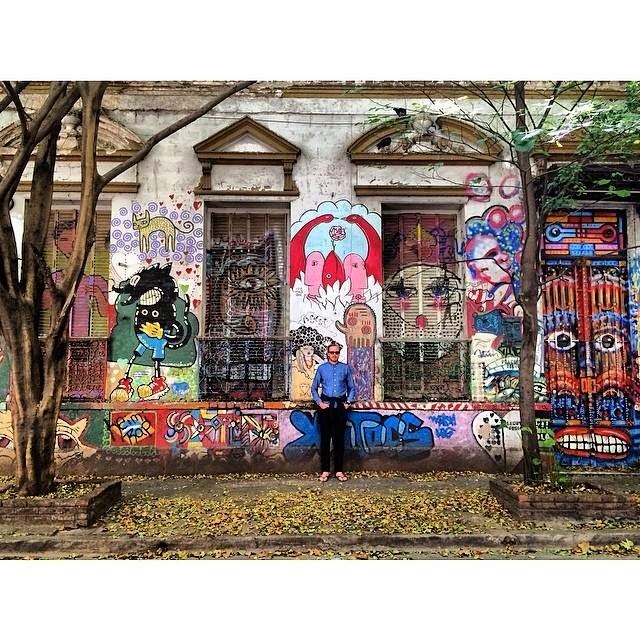 I've always wanted to visit Argentina, and you have showcased so much culture and color to make my want grow deeper. And could their street art being any friggin' cooler?! I don't think so. hahah. Well, you look fab darling - you and your lovely man! Looks like you two had a ball. 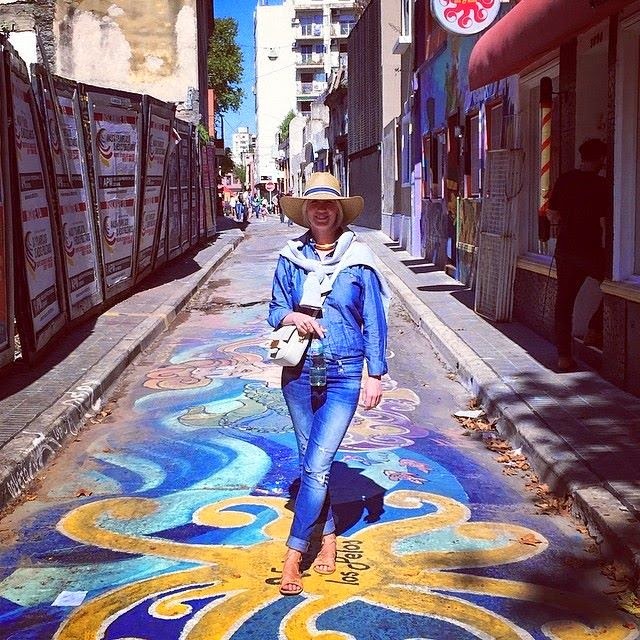 Nice to see the pictures, also awesome paintings on the wall and streets! Can imagine that you felt inspired. Argentina and tango! Ole!! This is one of my dreams to dance tango on streets of Buenos Aires one day! Awesome photos you have here and amazing illustration!! Wow! I totally love it and would hang it in my place although I think it deserves to be admired in a museum instead! 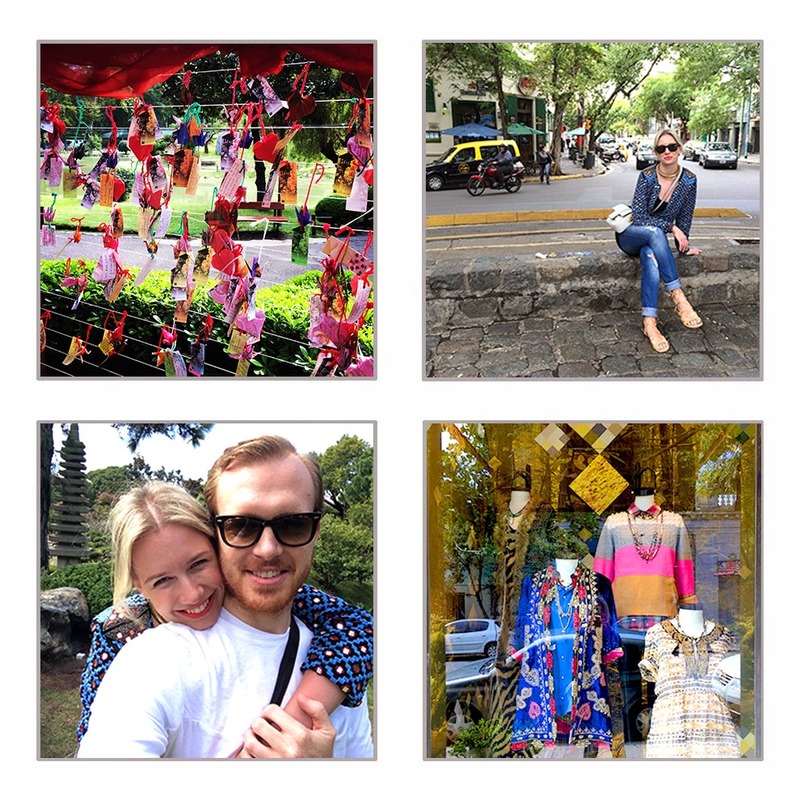 Hi Meagan, looks like the most colourful and beautiful place to visit, thanks for sharing these amazing holiday photos with us, hope you're having a splendid time, you look so pretty! Love the drawing! Lovely photos! 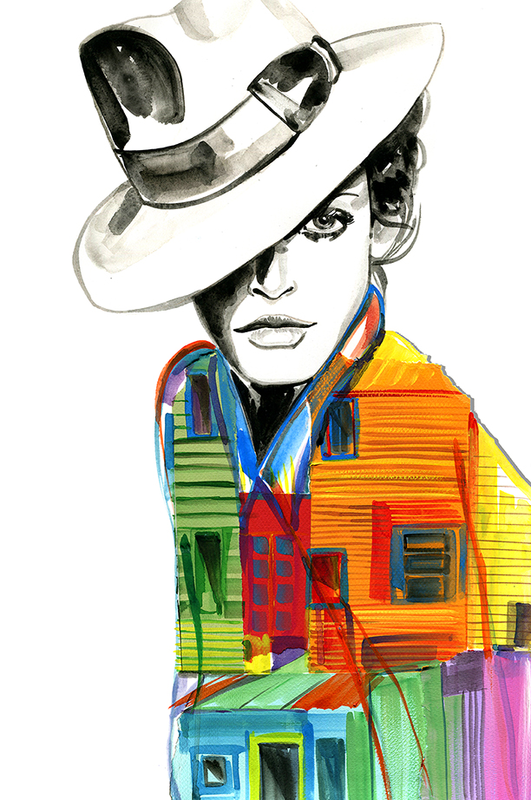 I want to jump into one of those beautifully colored homes :] Sounds like a fun trip! 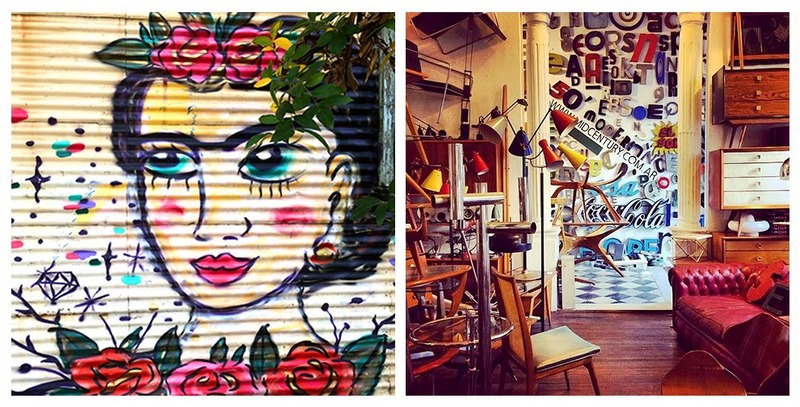 I really love these pics, really awesome postcards from Buenos Aires. Love the new sketch and the whole concept! Wishing you a warm and wonderful weekend! 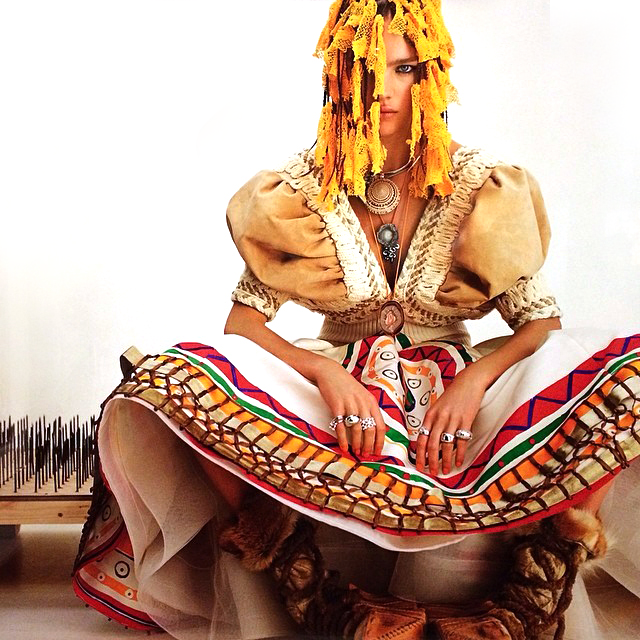 Amazing pics and so nice inspo. Have a great weekend. What a great postcard you created! I'm in Buenos Aires now. Your pictures are so beautiful. I still need to ride a yellow bike and find that street where you stood in the sunlight!